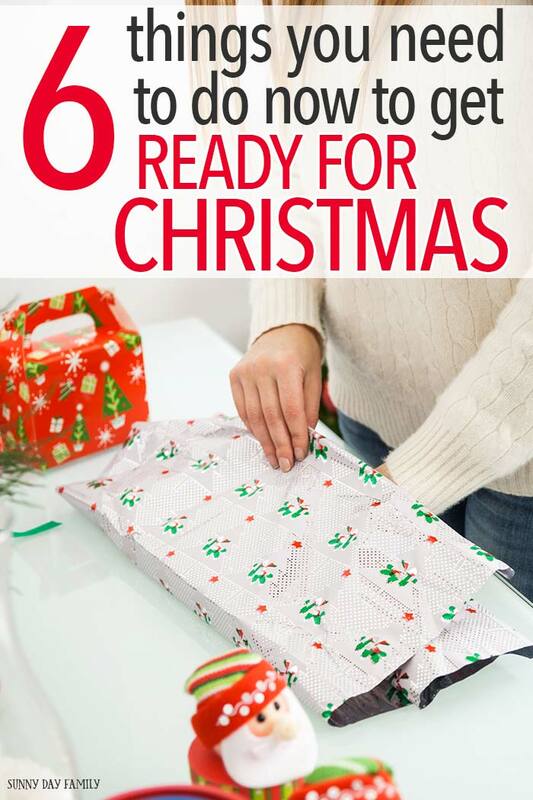 Do these things to get ready for Christmas and enjoy a stress free holiday season. It seems like the minute the kids go back to school, the holidays come rushing at us like a freight train. And while I am a die hard "don't decorate before Thanksgiving" person, there are a few things that I do now to get ready for Christmas. I'm definitely not going to tell you to put up the tree yet, or to start playing Christmas music non stop (but you can if you want). What I am going to tell you are easy things that you can do now to start planning for Christmas so that you can actually enjoy your holiday with less stress and more family fun. Christmas is one of the busiest times of the year, and it is easy to see why. With all the gifts, decorating, baking, traditions and activities, it can make you feel overwhelmed and underprepared. And when you let the stress get to you Christmas starts to feel more like a chore instead of a celebration. But the good news is that you can start getting ready for Christmas now that will help you enjoy the holiday as it gets closer. The first thing you need to do right now is make a plan and get organized. Having a plan for all your activities, gifts, baking projects, decorations, etc. will save you lots of time and stress when it's time to actually do all of these things. Fortunately, I have an awesome tool that will help you do just that. My Christmas planner has everything you need to get ready for Christmas with pages of planning tools, checklists, and so much more. Christmas brings a lot of stuff, even if like us you're trying to give more experiences and less toys this year. This is the perfect time to purge out old, outgrown, or broken toys to make way for what Santa will bring. Purging your toys does not have to be painful - in fact, we've started a really fun tradition that makes my kids WANT to help declutter their playroom to get ready for Christmas. Want the secret? Click here to read all about it. We all have old decorations that are collecting dust in the basement. Or the string of lights that doesn't work anymore. Now is the time to take inventory of what you have: repair anything that is broken or let go of things that are just not your style anymore. Take advantage of yard sale sites and make a little extra money by selling things you don't use but others may love. Then decide where you'd like to decorate this year - indoors and outdoors - and make a plan. 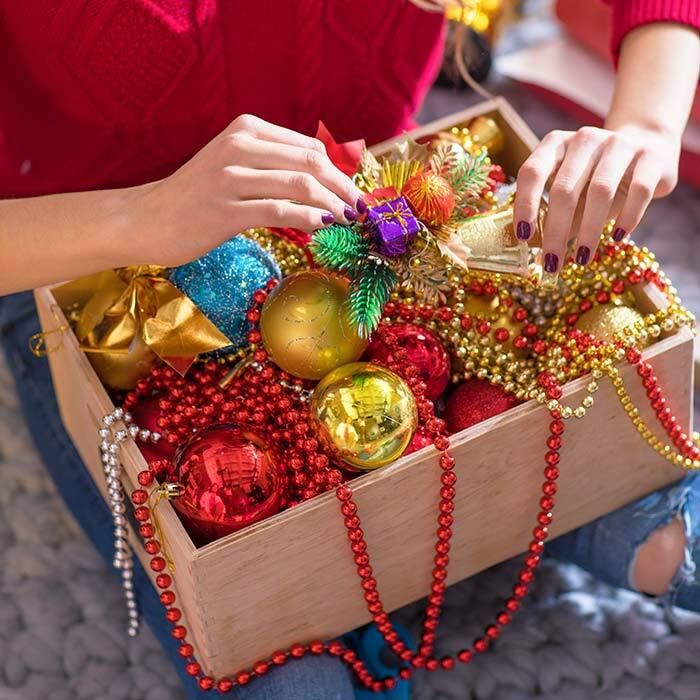 While you are sorting and purging, use your Christmas planner decorating pages to make lists of any items that need to be replaced and start price comparing as soon as the Halloween decorations go down. Are you worrying about how you’re going to afford everything that you'd like to do for Christmas this year? Start planning your budget and saving now. To get started, look at how much you spent last year. Break that number down into categories such as decorations, presents, activities, etc. to give you a clear picture of what Christmas looks like for your family. Next, see if there are any areas that you might want to skip this year. Lastly, take that number and make a game plan for how you are going to save up for Christmas over the next few months. You can use the budget planning sheets and gift giving trackers in your Christmas planner to help you get these numbers on paper and into your plan. I still love paper Christmas cards, and now is the perfect time to get started. Fall is a gorgeous time to take a family photo if you include one. If you're writing a letter, start your draft now. Sort through your Christmas card list and make any additions or changes, and double check that you have all the correct addresses. Use the card planner page in your Christmas planner to make this task super easy! You can even start addressing envelopes now and save them to send closer to the holiday. 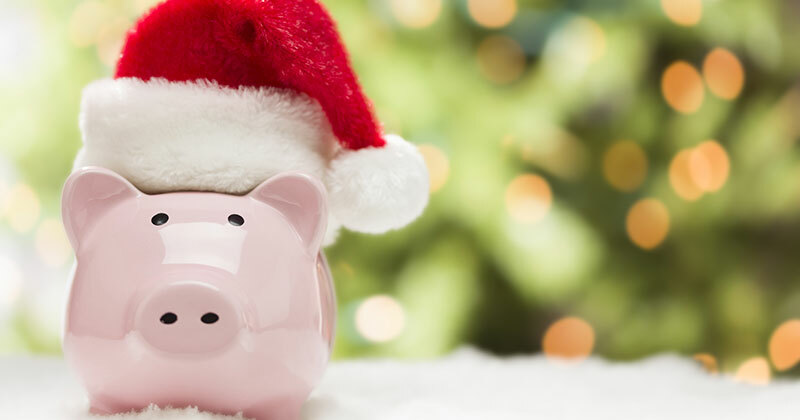 The best way to save on your Christmas gifts is by shopping all year round. If you haven’t started, it’s time! Start making your gift lists and looking for deals now. Use your gift tracking sheets to make lists of what you're buying for whom, and to track any online purchases. This will ensure that you are getting the best deals on your Christmas gifts and avoiding the stress of sold-out gifts or expensive express shipping in December. Read more of my holiday shopping tips here. You can even wrap them ahead of time if you want, but I'll totally admit that I am a last minute wrapper (usually with a glass of wine on Christmas Eve watching It's a Wonderful Life. What can I say, it's my little tradition). Christmas may be a few months away still, but you can never be too prepared. Grab your planner, get organized now, and you’ll be able to savor the holidays this year without all the stress of rushing to get everything done. Want to enjoy every holiday with a solid plan and fun activities for your family? Then you need to check out my brand new Year Round Holiday Planner. It's jam packed with over 100 pages of planning tools and activities for 8 holidays to celebrate all year long. It includes the entire Christmas Planner, a Christmas countdown, and so much more. See it here and start today!